I have sold a property at 2410 YORK AVE in Vancouver. Please visit our Open House at 2410 YORK AVE in Vancouver. Rarely available 1350 sq ft 2bed/2bath tudor style townhome in prestigious Old York Townhomes at York & Balsam. Prime location 1 blk from beach, private entrance thru iron gates & 50 ft long garden patio, this 1 level unit has high ceilings, oak floors, large living room, french doors to garden, separate dining room & kitchen, huge master bed with lots of closets and ensuite with separate shower & tub. Bonus - secure parking at your back door. Some bathroom updates otherwise make it your own in this quintessential well built Kits building. Call for showings. 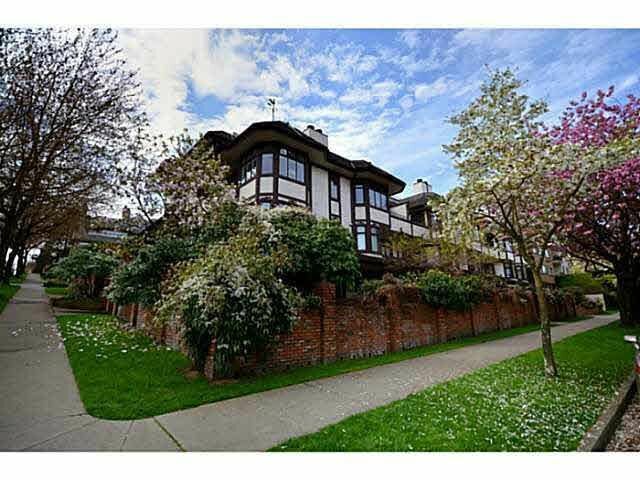 I have listed a new property at 2410 YORK AVE in Vancouver. I have sold a property at 11 3855 PENDER ST in Burnaby. Stylishly updated 2 bed/2bath townhouse in well run Altura complex. Walk to shops, restaurants, recreation, transit, community garden; 12 mins to d/town & only 3 blocks to highway. This 1081 sf unit in coveted Vancouver Heights boasts new built ins, pot lights, fireplace insert & commercial grade laminate. Spacious open plan living area with lg kitchen & balcony on main floor for BBQ's, 2 large beds up with custom built in closet, two spacious baths, and a fab private rooftop patio oasis with stunning south west views of the city. Bonus - 2 parking stalls/1 storage locker. Open House Saturday & Sunday Jan. 13/14 from 2:00 to 4:00 PM. Fantastic value, location and space! Don't miss this one. I have sold a property at 10 3855 PENDER ST in Burnaby. I have listed a new property at 11 3855 PENDER ST in Burnaby. Please visit our Open House at 11 3855 PENDER ST in Burnaby. I have sold a property at 21 3855 PENDER ST in Burnaby. I have listed a new property at 10 3855 PENDER ST in Burnaby. Please visit our Open House at 21 3855 PENDER ST in Burnaby. I have sold a property at 861 ROCHE POINT DR in North Vancouver. This beautiful 2 level home features renovated new kitchen, flooring on main and “spectacular mstr ensuite bath with dual sinks and walk in shower.”The sunny yet private rear patio has also been redone. The 1/2 duplex style is steps away from shopping restaurants and golf course. Walking trails, recreation rec centre and public library at your leisure. Care free living turn key lifestyle. I have listed a new property at 21 3855 PENDER ST in Burnaby.